Hello, everyone! 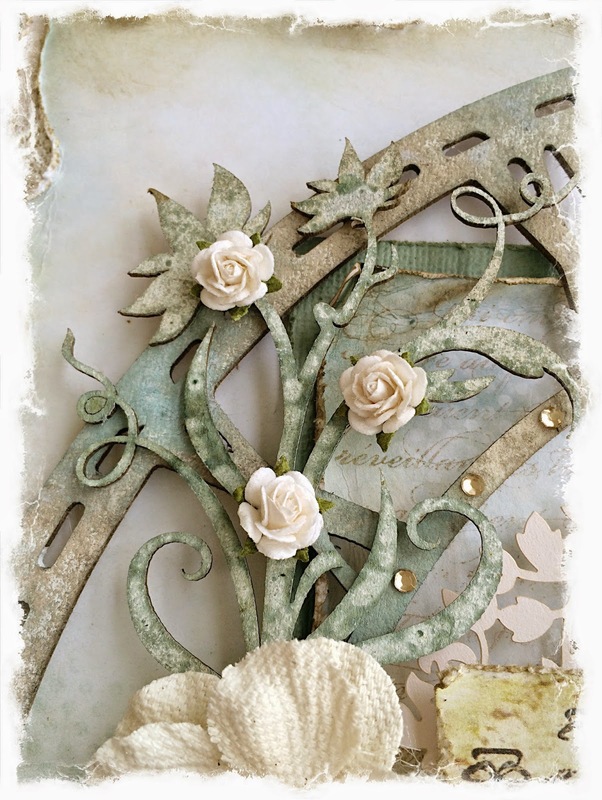 Today I'm sharing some projects I've made this month for Blue Fern Studios. For this card, I used a couple of sheets of paper of the Blue Fern Garden line, Parlour and Timeless. I used a light brown distress ink to give it the aged look. In this closeup, you can see the four pieces of chipboard I used, each treated in a different way. The bird is from the "Little Birds" set is simply colored with brown archival ink. 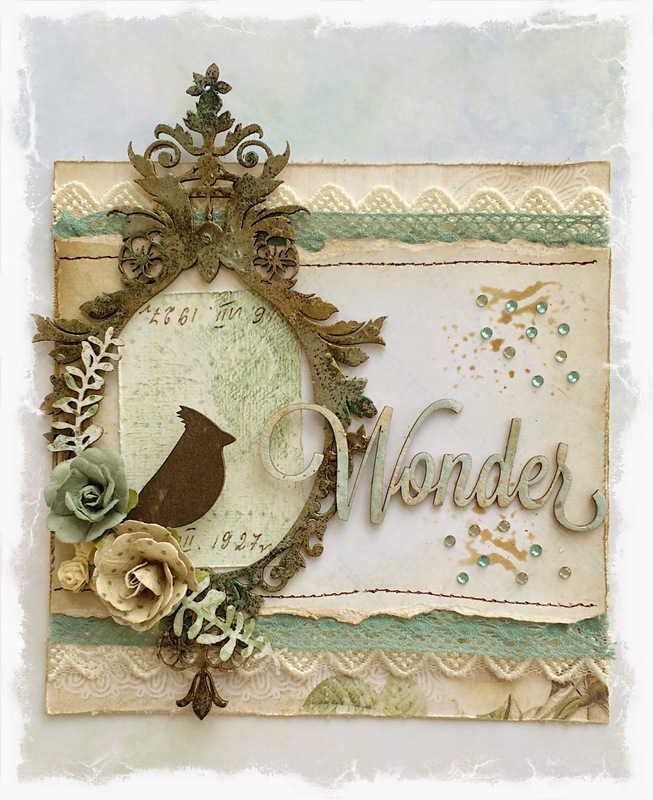 The title, "Wonder" from "Winter Titles" set was primed with white paint, then I randomly placed light blue embossing powder so some of the white would show through, then I lightly covered the whole piece with a light brown distress ink. The foliage peeking out under the flowers are remnants I had form some "Layering Stems" that painted white and lightly misted with an olive green mist. For the "Majestic Frame," I covered the whole piece with an embossing medium and sprinkled brown, gold, and blue embossing powders. I repeated the process three times to get nice coverage. For this layout, I used papers from the Ombre Dreams collection, along with some green cardstock. 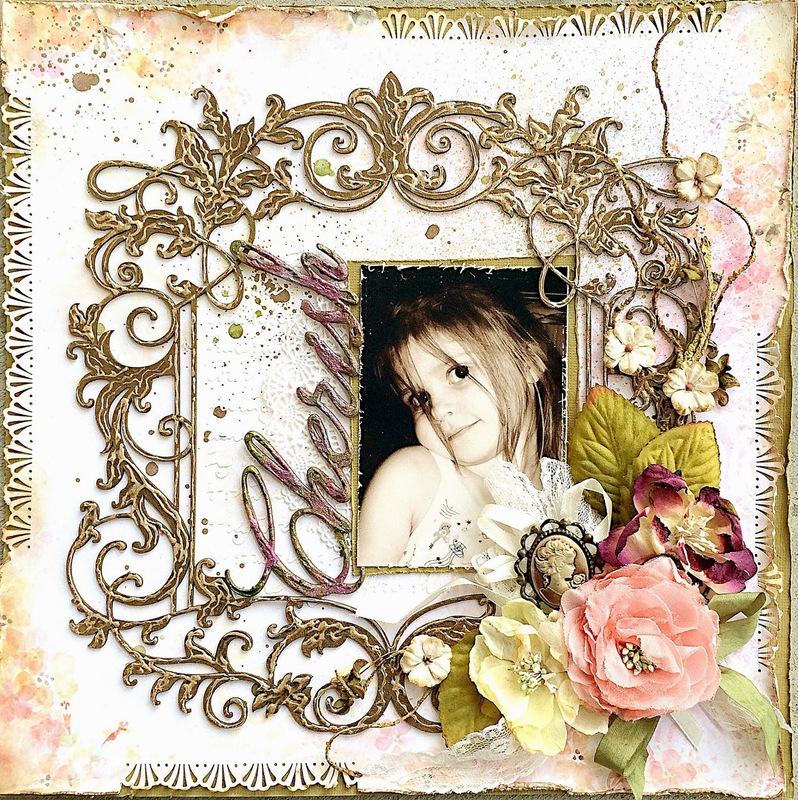 I used the "Blue Fern Frame" for the focus of my design. 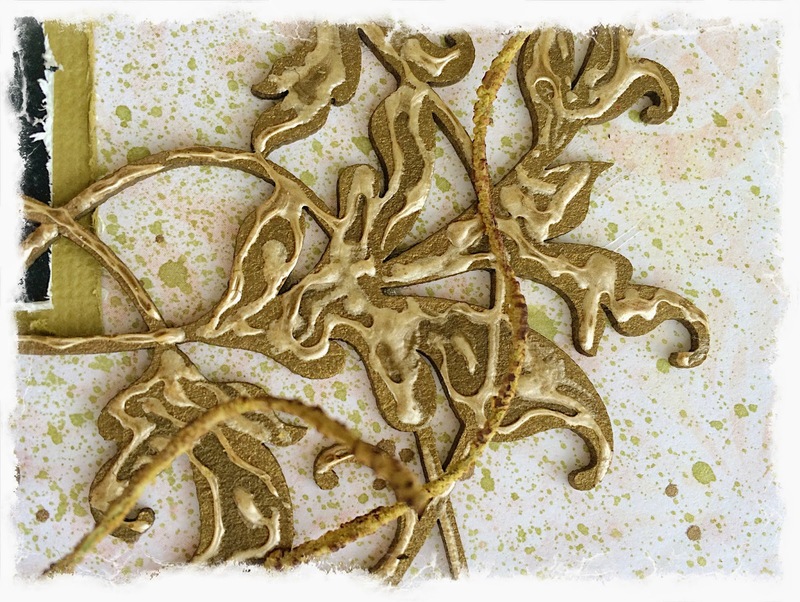 I treated this piece by spraying it with a brown mist, letting it dry, then tracing the details with dimensional paint to create a look somewhat reminiscent of a gilded metal look. I finished the look by spraying the whole piece again with the brown spray to get into the little crevices of the dimensional paint. 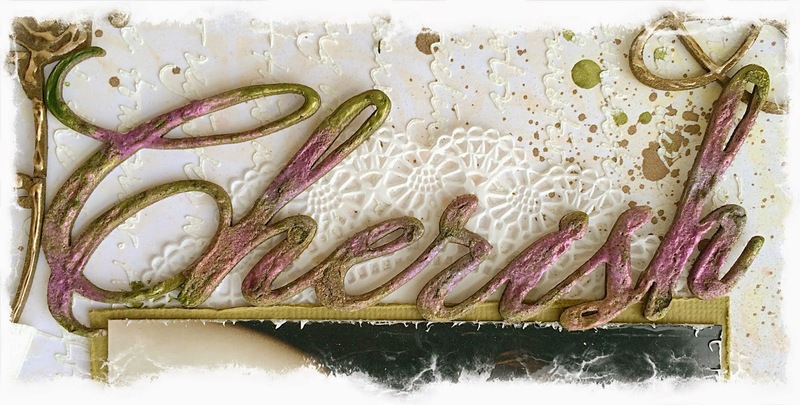 I used green dimensional paint and poured purple and coral embossing powders over the entire "Cherish" piece while the paint was still wet. Then, I used a heat tool, and overdid it so the paint would bubble up for this dimensional distressed look. 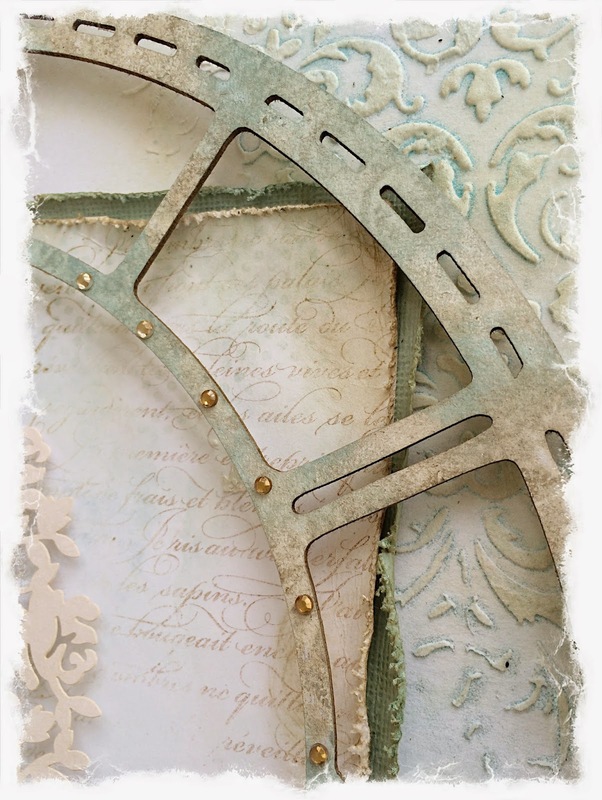 I used papers from both the Blue Fern Garden and Ombre Dreams collections, picking out light blue and light brown tones, along with some cardstock. 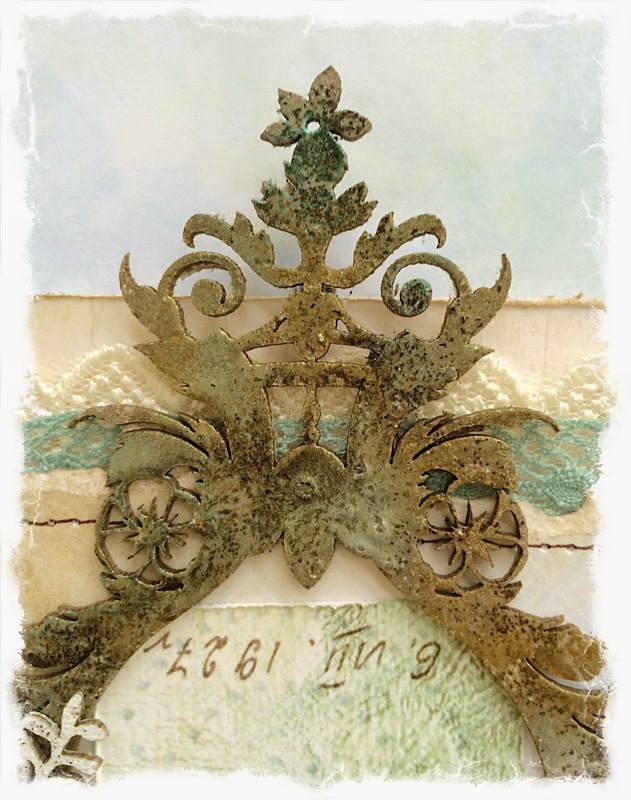 In this closeup, you can see the paper that I stamped with a script stamp to alter the look of it. I treated all of the pieces with gesso. 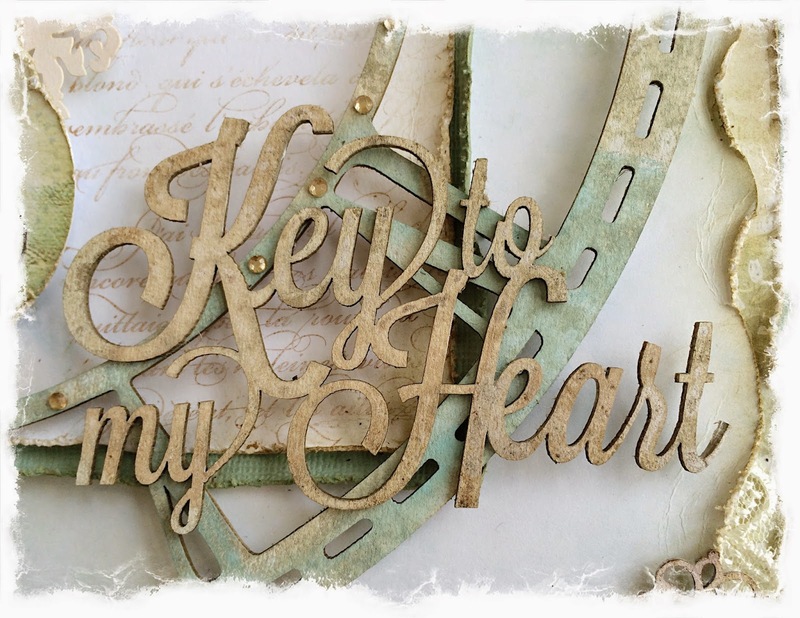 On the "Ket to my Heart" title and key, I used two shades of brown distress ink. 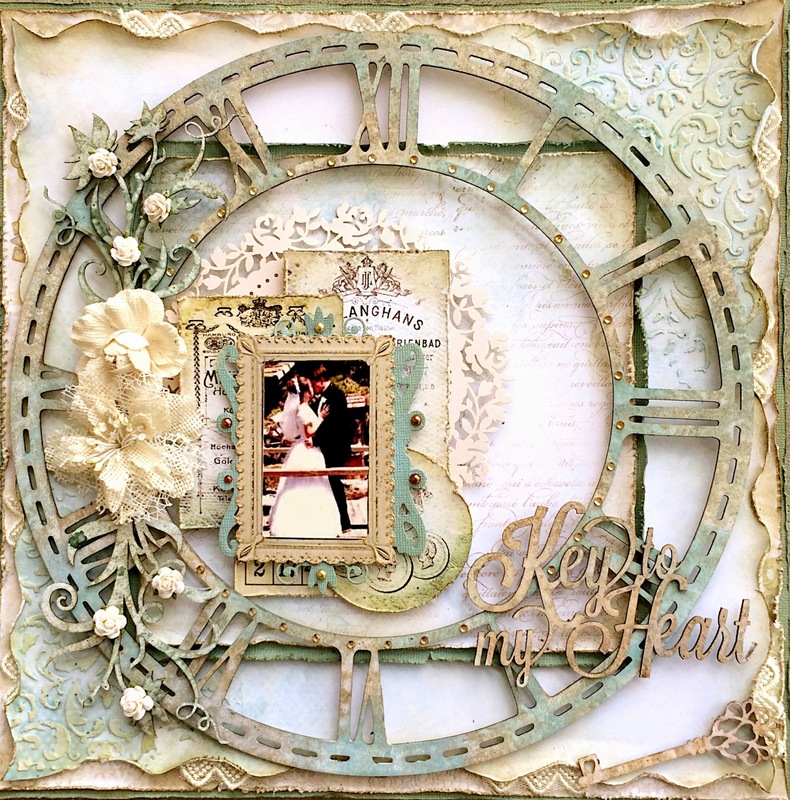 On the "Large Roman Clock Set" I used various distress and chalk inks. 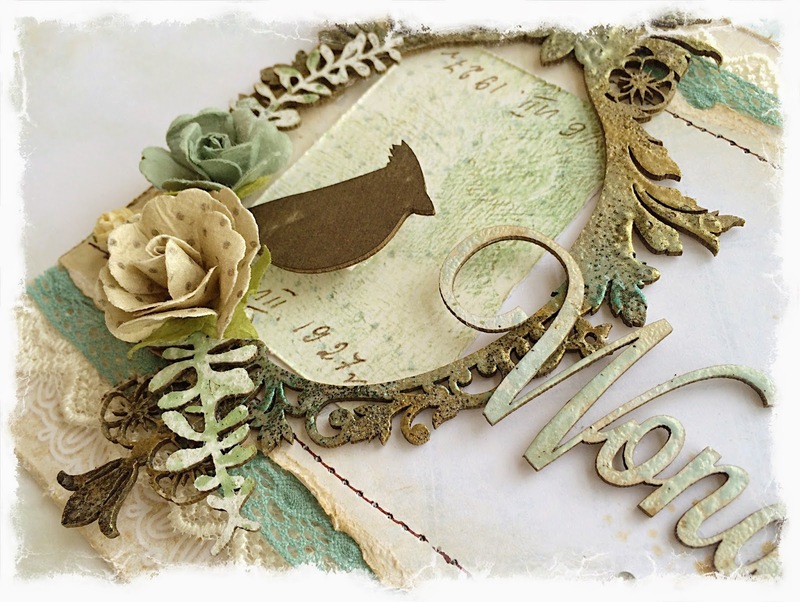 For the "Wild Flourish Bundle" I sprayed it with an ivy mist to create drops, then used more light brown distress ink. I hope you enjoyed seeing my projects today. Thanks for stopping by!